Leader made the remark while replying to Leader of Opposition Vijender Gupta's demand for a government report into the death of 44 people allegedly due to cold in the city. 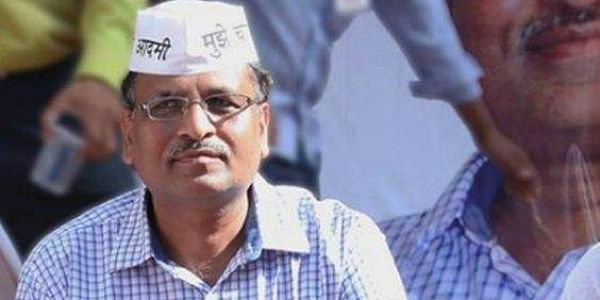 NEW DELHI: Delhi Health Minister Satyendar Jain called the four BJP members in the assembly "blanket thieves" in the House here on Wednesday. Hearing his remark, the four legislators walked out. The Aam Aadmi Party leader made the remark while replying to Leader of Opposition Vijender Gupta's demand for a government report into the death of 44 people allegedly due to cold in the city. "These people (from the BJP) distribute blankets at one end and collect it back at the other end (of the line)," Jain said, terming them "blanket thieves". Earlier in the day, the Bharatiya Janata Party MLAs had protested in front of the Speaker's podium with blankets, demanding an inquiry into the deaths.